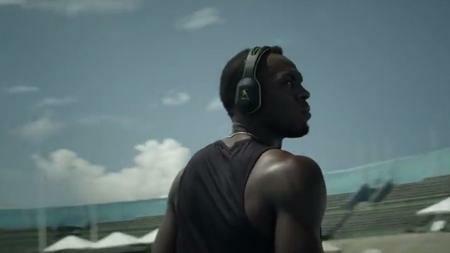 SOUL Electronics intends to deliver a new range of headphones to the masses, and have received the help of two sporting celebrities, Usain Bolt, the world’s fastest man, and also Tim Tebow. The new Combat range from SOUL Electronics have been touted to be the first-ever true over-ear and on-ear headphone range that was specially developed for athletic performance, hence their ambassadors. The Combat series has been designed to deliver premium-performance comfort as well as audio, where it will include the Combat+ Over-Ear Headphones, Transform On-Ear Headphones and Flex Sport Earphones, so that even those of you who happen to lead an extremely active lifestyle are able to tune in to your favorite songs while sweating it out. The new Combat range was inspired and rigorously tested by SOUL ambassadors Tim Tebow and Usain Bolt, so you can purchase a pair, rest assured that their performance features and styling have been designed specifically for active people. Some of the features include a wide breathable headband for secure fit, a Comply body heat activated memory foam for comfort and better seal from external noise distraction, sweat-resistant sound drivers, and bacterial resistant surfaces. All of these individual elements were inspired directly from features which Tim Tebow and Usain Bolt require to sustain the intensity of their sports training and active lifestyles. The Combat Series range would also make sure that the headphones are ideal for most outdoor activities, regardless of whether you are practicing for the big crunch game, or if you are walking the dog around the neighborhood. The Combat+ Over-Ear Headphones will feature Comply body heat activated, breathable memory foam ear pads so that your ears enjoy a perfect fit and comfort, in addition to an extra pair of breathable, washable mesh ear pads. Not only that, the water/sweat proof earphones also adhere to IPX5 waterproof standards, and accompanied by a bacterial resistant ear hook surface, you have nothing much to worry about.